Pictured above are the products that I purchased before and during my trip to the wonderful city of Sydney. I’m not really sure why I purchased anything before going as the shopping in Sydney is pretty amazeballs, but I did so here we are. I managed to track down some of the old MOR Milk stock at a DFO in Homebush and was absolutely thrilled with my find. This is one of my all time favourite scents, and I am totally bummed that MOR have discontinued it. (Though according to their Twitter account, the closest scents in the current range are Honey or Candied Vanilla Almond) I also purchased the Flourish Body Milk in Saltwater, a Lanolips Lip Ointment in Sunshine, two mini Bloom soaps in Vanilla Bean and Brown Sugar & Fig and a b collection by Bloom Cheek Tint in Yarra Valley. I also picked up a MOR perfume oil in the scent Marshmallow and 3 perfume oils from Flourish in the scents Sugar, Almond Milk (a replacement) and Saltwater. And of course 3 of the b collection by Bloom nail polishes in the shades Seychelles, Santorini and Barcelona. I’ve been a fan of Australian cosmetics company MOR for many years now. I’m not sure how long ago it was, but they’ve released a new generation of scents and packaging that are just as, if not more beautiful than the old range. One of the new fragrances from the range is Honey Nectar, and I received the Hand & Body Lotion in this scent for Christmas. The fragrance is subtle, but as with all of the other MOR body products I’ve used in the past, the smell is long lasting on the skin. The consistency of the product is reasonably thick for a lotion, and feels very moisturising. One of my favourite things about the MOR product range is the packaging, it’s always gorgeous and they are the kind of products I’m happy to have on display in the bedroom or bathroom because they have the ability to enhance the decor. This is the first honey scented body lotion I’ve ever used, but I am loving it and can definitely see myself repurchasing in the future. The MOR Honey Nectar Hand & Body Lotion retails for $19.95 AUD and is available for purchase from MOR Cosmetics online. 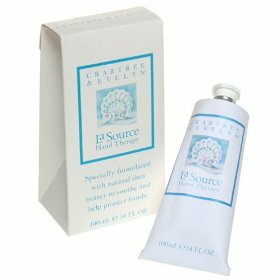 I first started using this luscious creme when it came in a sweet little pink tub with a white lid. MOR have since upped the ante, and the creme now comes in a gorgeous black tub with a gold lid packaged in a beautiful rose print embossed box. Once you get past the beautiful looks and are able to dig into the actual product, it is divine. A luxe, rich cream that takes it’s time to sink in to your skin, but when it does you are left feeling moisturised and silky smooth. The smell is beautiful, sweet and marshmallowy (is that a word?) and a hint of the fragrance lingers all day long. I used to keep this as a “special occasions” body creme, but I’ve been using practically it every day since buying my new tub! This is hands down (hehe, get it?) my favourite hand cream. Rich and heavily moisturising without being too greasy, I have a tube of this sitting on my desk at work and use it a few times a day. It has quite a strong smell, but it is such a fresh fragrance that it is not too overpowering. I will go out on a limb and say that this is the best smelling bath product that I have ever used. After reading that Liv Tyler was a fan, I was curious and tried to hunt down a place to buy the bath oils in Australia. No such luck unfortunately, but I managed to order myself two bottles while I was holidaying in the US this year and I am attempting to make them last as long as possible! A capful of the oil turns your bathwater into a deliciously sweet smelling milky moisturising experience. The perfect product to use if you’re wanting a long, relaxing bath where you can drift away and daydream of Japanese cherry blossoms. So divine! What beauty products do you love and repurchase time and time again?